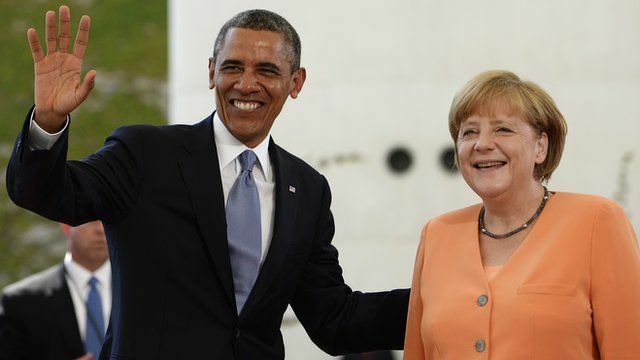 US President Barack Obama has arrived in Berlin at the start of a visit during which he will address crowds at the city's famous Brandenburg Gate. He last addressed Berliners as a presidential candidate in 2008 - drawing a crowd estimated at 200,000 in the once-divided city. He is first due to have talks with Germany's chancellor, Angela Merkel. The BBC's Stephen Evans reports from Berlin.